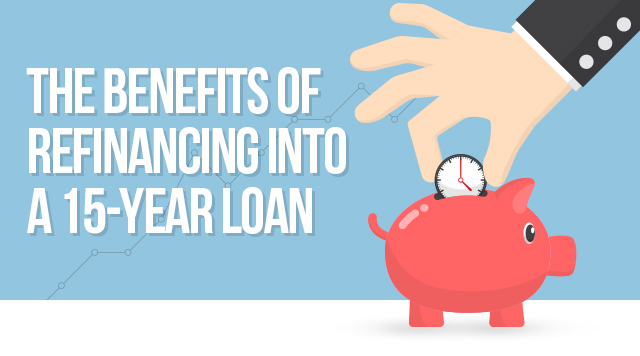 Have you considered refinancing your home loan to a shorter term to save money? When you switch to a shorter loan term, you’ll typically get a lower interest rate — often a full percentage point or more. And when you pay down your loan quicker, you are borrowing for a shorter amount of time, which means you’ll spend much less on interest over the life of your loan! Calculations do not include property tax, mortgage insurance, or home insurance. Total interest calculation is based on interest rate, not APR. 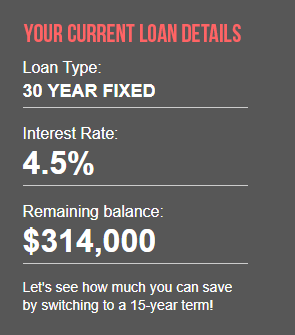 Then why not cut years off your loan and save thousands of dollars in interest? See how much you could save! Request a free consultation with a GMFS Mortgage Loan Officer to get a custom calculation using your personal loan information so you can see the real benefits of a 15-year loan. *Annual percentage rate (APR) is based on 1% origination fee and $1,000 in other fees. For example only. Program rates, terms, and conditions are subject to change at any time and may vary based on borrower’s credit history. The following is for example purposes only. 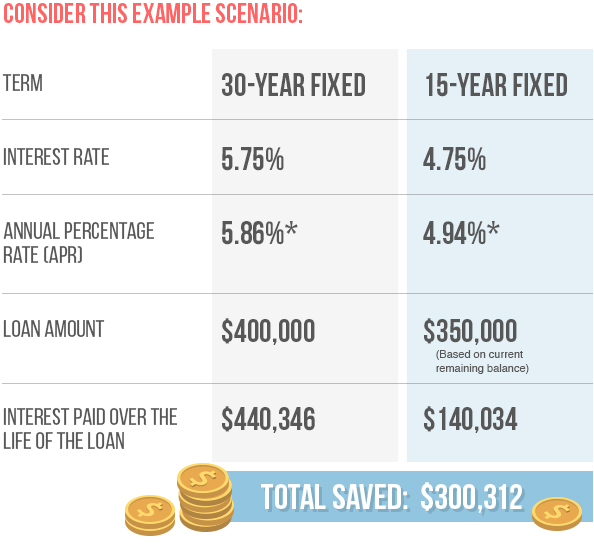 Example loan scenario: If borrower with a 680 FICO score and 33% debt-to-income (DTI) ratio refinances to a 15-year fixed rate mortgage (loan amount $350,000) with an interest rate of 4.75% (APR 4.94%*), the repayment terms would include a monthly principal and interest payment of $2,722. Does not include applicable taxes and insurance. The actual obligation will be greater. No down payment is required for a refinance. All loans are subject to credit and property approval. Certain restrictions may apply.